The sharks are snapping off Fort Lauderdale. This year’s annual shark migration down our coastline is fully underway. 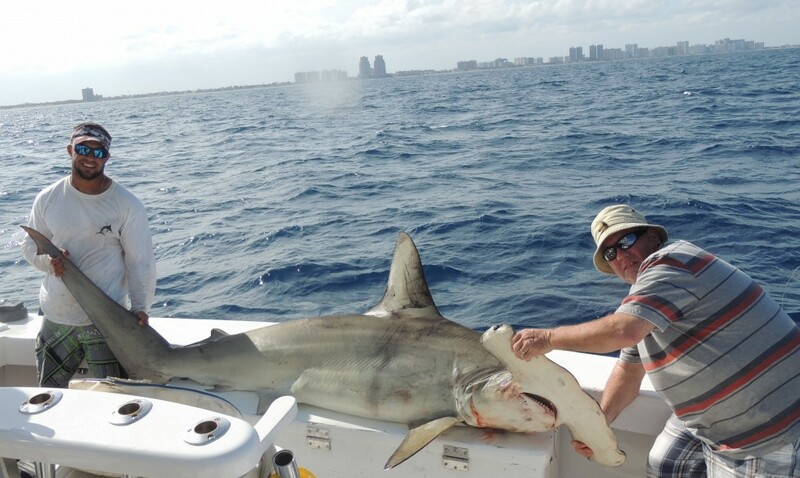 Hammerhead sharks, Fort Lauderdale’s most sought after game shark, are abundant in 350ft of water. This is the depth where the Gulfstream waters meet with the cooler inland waters, and a temperature gradient is formed. Sharks and other top predators like to patrol along this ‘current edge’ which is usually rich in prey. 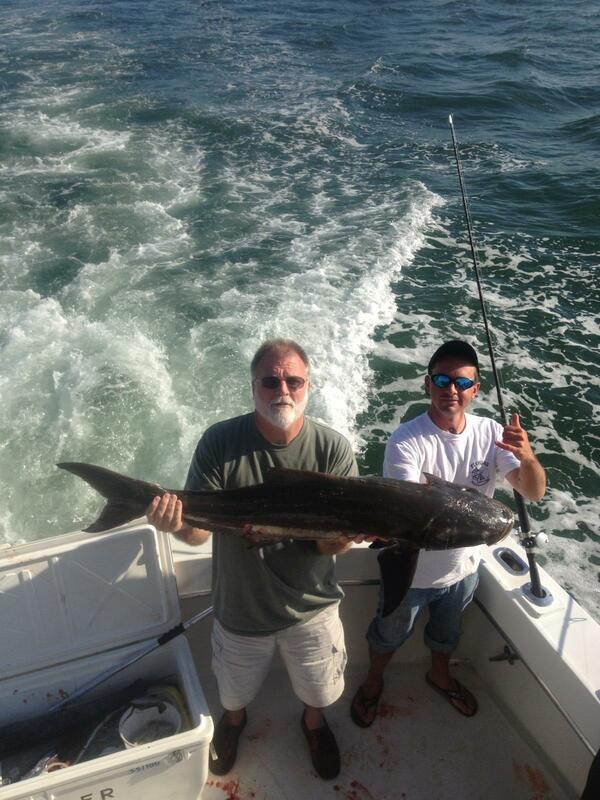 April and May are the 2 best month for shark fishing in Fort Lauderdale. This is a fishing trip the other day with Steve and family. We went shark fishing and were lucky enough to catch a monster hammerhead shark. We didn’t just stop there. We also caught some tunas, mackerels and a nice mahi-mahi. 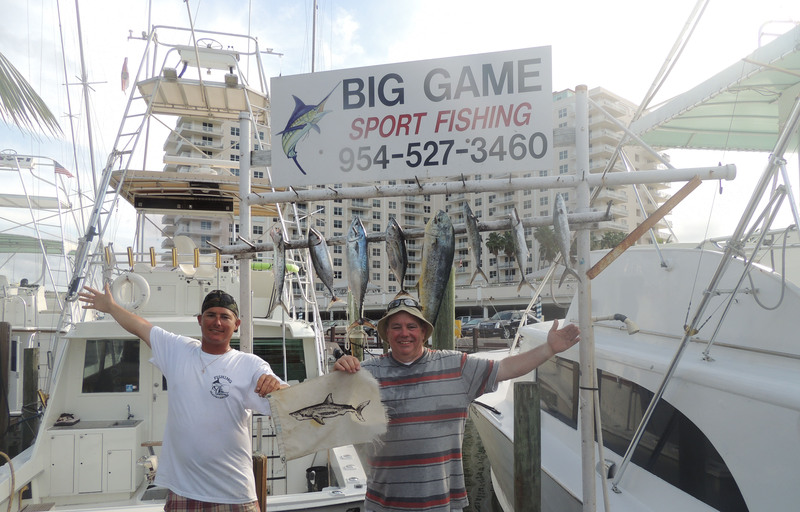 Not bad for a half day fishing charter in Fort Lauderdale. The sharks are really biting so if you want to catch a big one, NOW is the time to go. Let’s go fishing! It took an hour and half to catch this big shark, on heavy gear. 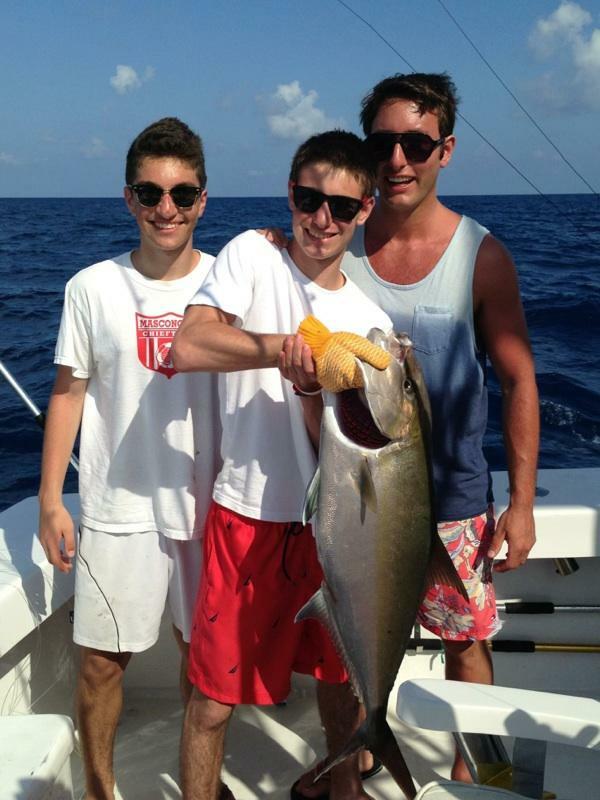 A lot of great action the past couple days fishing in Fort Lauderdale. As to be expected in Spring, the wreck are holding some really nice fish. Groupers and Jacks are biting really good, in fact when they are really turned on, you can’t even get a bait fully down to the bottom before it gets eaten. Every Spring, amberjacks, groupers, cobia, barracuda, sharks and other game fish, congregate on the wrecks between 150ft-350ft of water. For many years, Fort Lauderdale was involved in an Artificial Reef program and sank many old and retired boats, intentionally to create habitat for fish and make great dive/fishing locations. It worked like a charm. After years of sinking many of these “wrecks”, we have lots of great fishing spots right in our backyard. The amberjacks are here!! The amberjacks are fully concentrated on the wrecks and for the next few weeks to a month, we’ll be in the peak of amberjack season for the whole year. 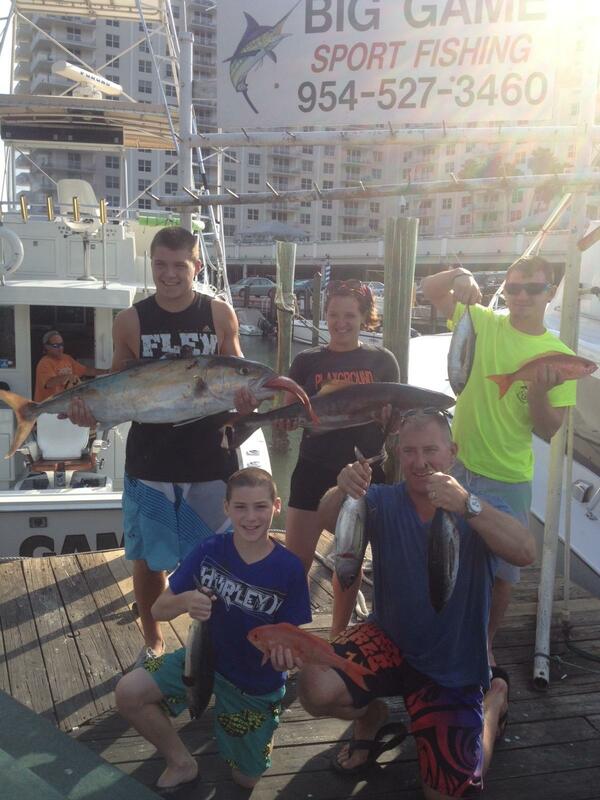 All of them are big fish, and if you’ve ever caught an amberjack before, you know how incredibly strong they are. Amberjacks are extremely aggressive fish and won’t let a bait float near them for more than an instant if they are hungry. They are famous for the “insta-bite”, which is when we drop down to the bottom and are immediately hooked-up when we come tight on the bait. Groupers and cobia are also present on the wrecks right now. 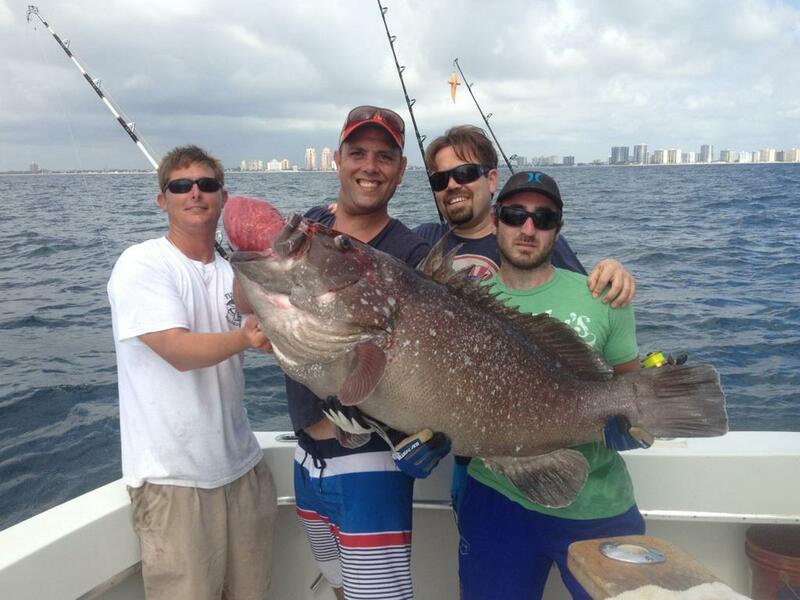 The picture at the top of the really big fish is a warsaw grouper, the largest grouper that we catch fishing in Ft Lauderdale. 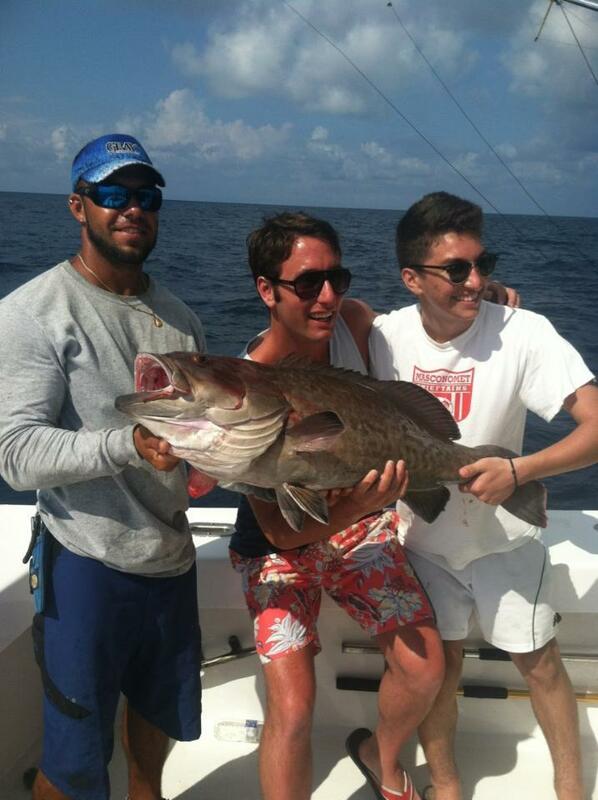 We caught this fish yesterday on an afternoon sportfishing charter and this one weighed over 80 pounds. Other groupers that we’re catching right now are gag groupers, black groupers and snowy groupers. A few cobias are also hiding on the wrecks. We’ve caught a few nice cobias this week on these spots. Sharks and barracudas, the top predators are also around these wrecks, feasting on easy prey. 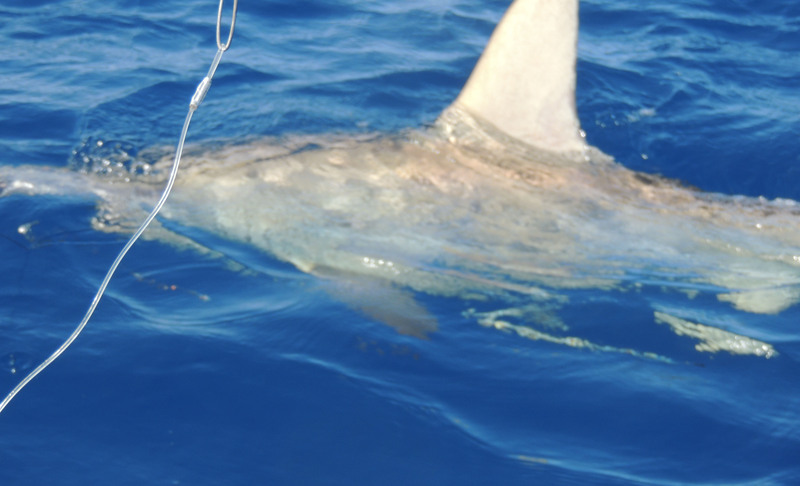 Hammerheads and bull sharks are the main sharks we’re catching and they can reach up to 10 feet in length. Scattered mahi-mahi, tuna and wahoo are around as well, but the best action on big fish is definitely found fishing the wrecks. Good luck out there everyone, I’ll sea ya on the water. 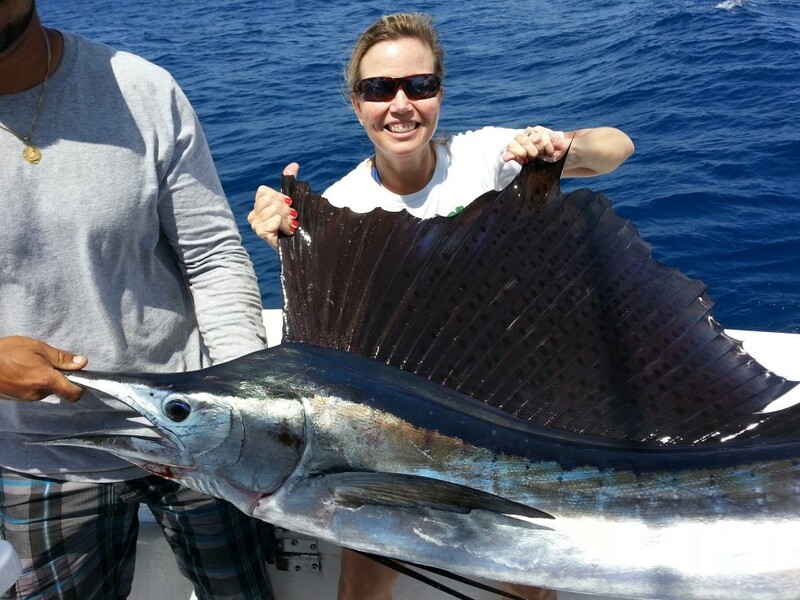 A great sailfish bite is going on this week in Ft Lauderdale, especially being so late in the year. The recent cool weather has definitely had an impact on the sailfishing. Sailfish bite really good when the wind gets chilly. Kite fishing outside the reef in 160+ feet of water has been the best bite lately fishing off Ft Lauderdale. Live goggle eyes and mullet work best out of the kite, but we’ve caught a few sailfish on blue runners and pilchards this week too. While you’re kite fishing in that zone, be ready for a school of mahi to swim up on you. They travel through that same area and kite baits will draw in inquisitive fish like mahi-mahi and sharks just as effectively as sailfish. Wahoo are also biting good fishing Ft Lauderdale this week. These wahoo are biting best on the troll, trolling lures and artificial baits at a fast clip. Wahoo are the fastest fish in the ocean and you can literally NOT troll a bait too fast for wahoo. Our best wahoo bites have been in 300-400ft of water, trolling inside and out the edge of the Gulfstream along the color change. A lot of small-medium sized blackfin tunas are also in this area. Trolling a few natural feathers behind the boat in addition to our bigger wahoo baits gets us good action doing this technique of fishing. 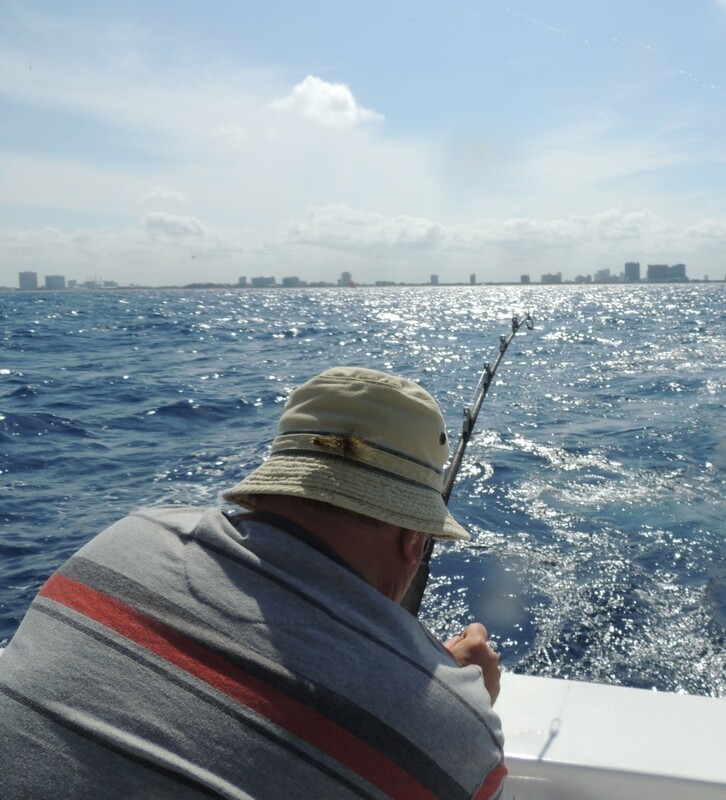 There’s a lot of good action to be had fishing Ft Lauderdale this week. 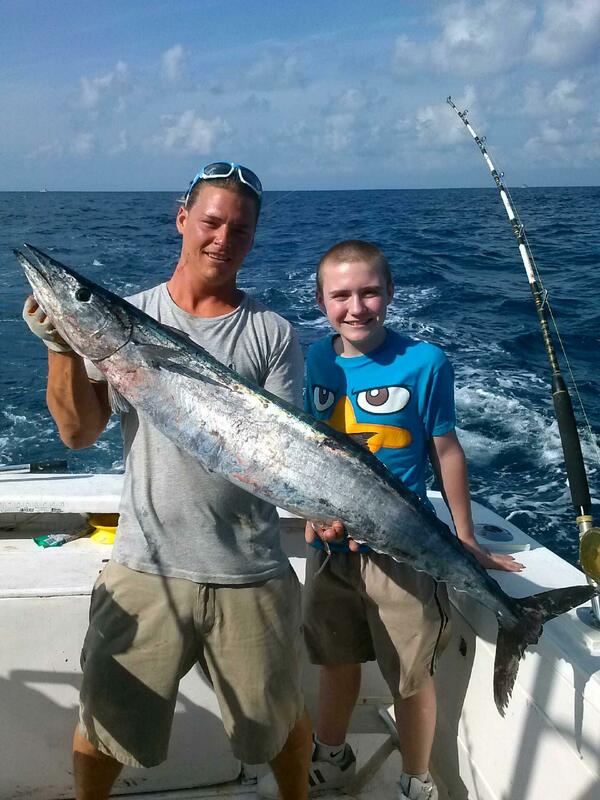 Sportfishing boats are catching a lot of good sized gamefish as well as action. 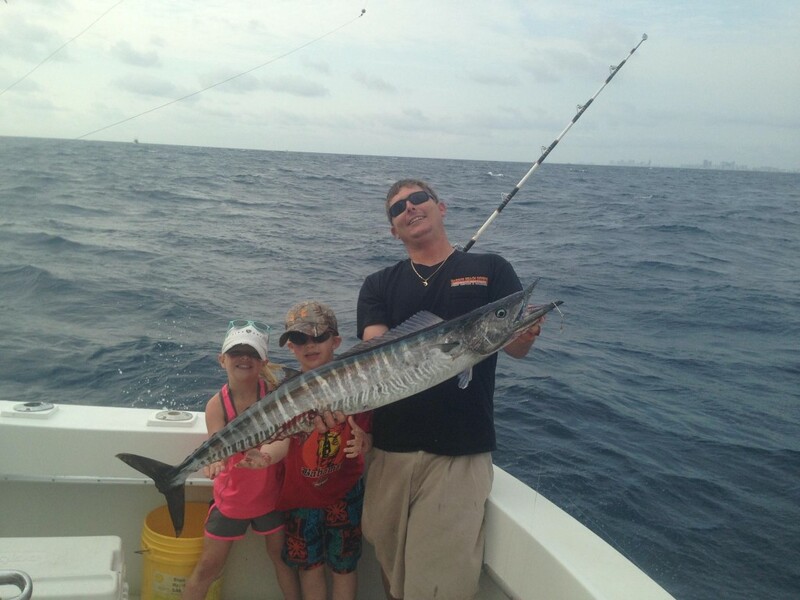 Reefs are holding sailfish, mahi-mahi and wahoo, and the wrecks are holding jacks, grouper and cobia. There is plenty to be caught no matter what you’re after. Let’s go fishing!